It was complicated to live in the Victorian era. There were all kinds of rules and codes you had to know or risk social ostracism. Suffice it to say, you had better be up on things. Even sending flowers could be high risk. Florigraphy, which is the language of flowers, was common knowledge back in the day. For example, sending red tulips was interpreted as a declaration of love. You certainly would not want to send those to your mother-in-law for her birthday. Hydrangeas represented frigidness. I happen to like them so I hate to think what that means. The yellow carnation symbolized rejection which does sound like a handy way to turn down a date. 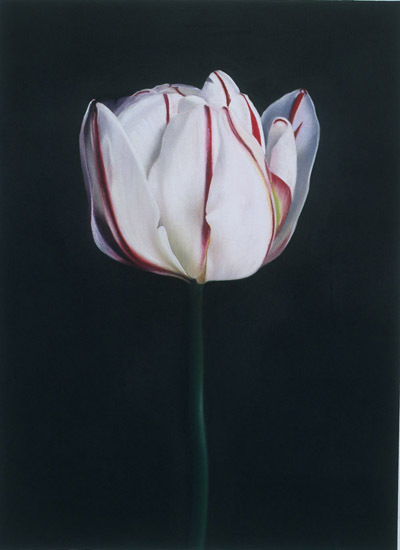 Artist Gale Antokal draws many more subjects than flowers but this tulip series makes me hopeful for spring. Just beautiful and you’re right- perfect when thinking of spring. I am a sucker for botanicals. Hydrangeas represent frigidness? Hmm…that was my wedding flower. And can you imagine sending a flower to someone you don’t like? I was just certain this post was going to allude to tiny tim of the laugh-in show! Thanks for making me think of him!